I like to think that more people are bridging that international gap through G+ hangouts, Ravelry, Sykpe, etc. Maybe it's just me and my online social circle, I don't know. There are a few folks that I absolutely love to "hangout" with that are not in the US, and this poses a problem when it comes to questions like, "Oh, that's a beautiful pattern, what size needle does it use?" And then I say whatever US size it takes... and they don't know what the heck I'm talking about because they're on metric. 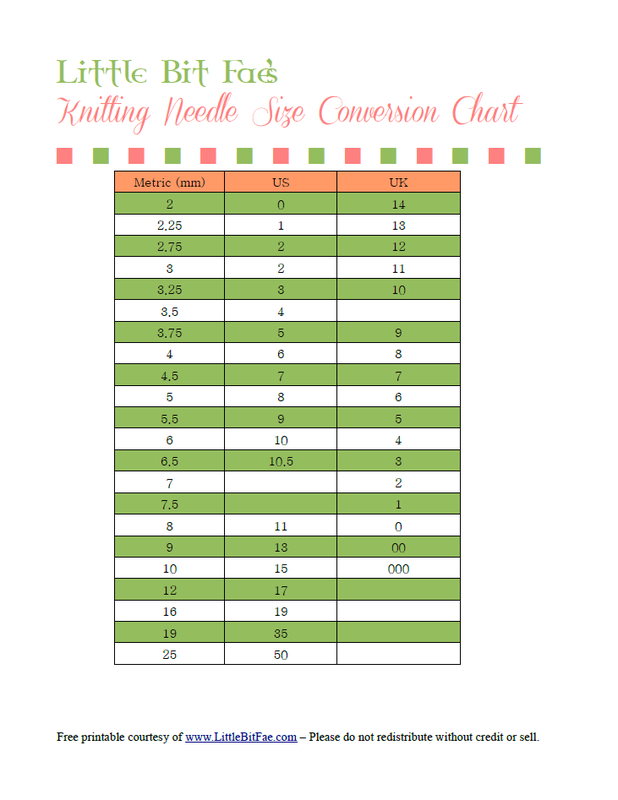 I scoured the internet for a few minutes and found several needle conversion charts, but none of them were pretty, and they all had ads on the pages. I like my work/play space to be pretty, so I made up my own chart and thought that maybe someone else would like to have one handy for all their international knit together needs.